Chris was a pleasure to work with from day one up until the day that our website launched. He communicated with us every step of the way, and his expertise was very helpful in getting us from what we wanted to what we needed. He built a good rapport with our graphic designer and content editors, and he created something from our vision that we are very proud to present to our partners and donors. 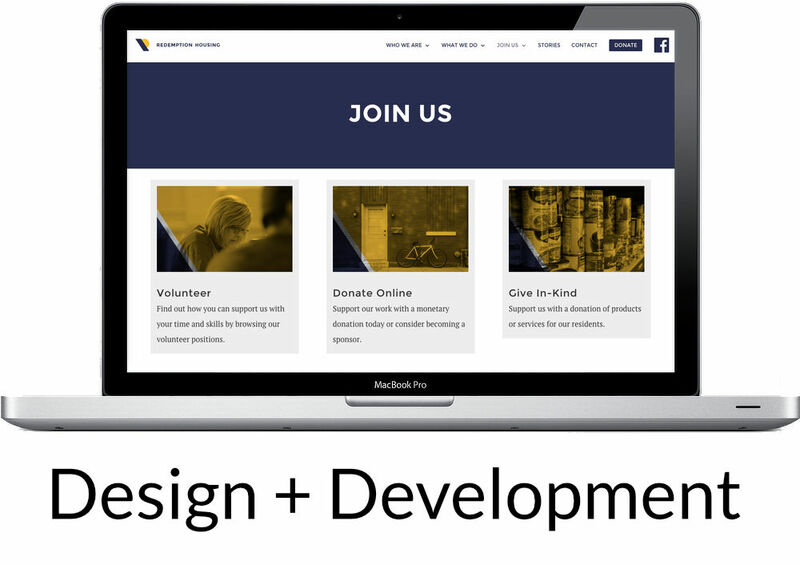 I worked with Redemption Housing’s founder to build a website for the new organization. Redemption Housing offers community, housing, and supportive services for citizens returning to society from incarceration in the Philadelphia area. I collaborated with Nick, a board member, and a graphic designer to create a website that captures Redemption Housing’s mission. In addition to connecting with donors and volunteers, the website includes a resource directory and application for those in need of services. SERVICES: Website design and development, configure hosting and email, and supported content generation. FEATURES: WordPress CMS, responsive design, opt-in forms, volunteer/resident applications, blog, resource directory, donation gateway, custom CSS, basic SEO, security, and automatic site backups.